It was with great siyatta diShamaya that no one was present when fire broke out in the Horowitz home, and that no one in the building got hurt. However, this is not always the case. Tragically, every year fires devastate property, families and lives. 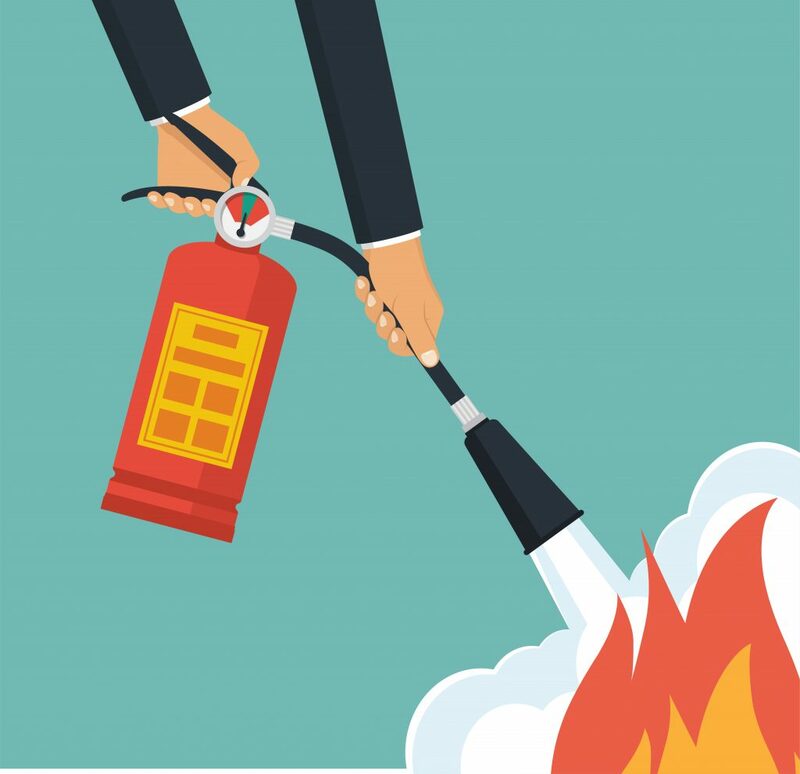 Understanding basic ways to prevent fires and what to do in case a fire breaks out are key to preventing loss of life and minimizing property damage, b’siyatta diShmaya. Hamodia spoke with Rabbi Avi Greenstein, Executive Director of the Boro Park Jewish Community Council, who emphasized the importance of learning about fire safety, implementing a fire safety plan for the family and, of course, installing appropriate smoke detectors. In order to promote fire safety awareness, in 2017 the BPJCC, in partnership with State Senator Simcha Felder and the American Red Cross, launched a fire safety preparedness partnership. Many wonder how much time one has to leave the house once a fire starts. According to recent studies, fires in homes built to modern construction design and standards spread much more quickly than in older homes. Underwriters Laboratories Firefighter Safety Research Institute (UL FSRI), which conducts fire safety testing, found that one has three minutes or less to get out of a house that has caught fire. UL FSRI writes that 30 years ago, one had up to 17 minutes to escape a house fire, but today’s homes burn faster. This is due in part to open floor plans, which both provide oxygen to fuel fires and don’t hamper their progress. Furthermore, synthetic building materials and furnishings burn at a much faster rate than natural products. In a staged experiment, UL FSRI tracked how quickly a modern living room went up in flames, compared with a vintage one. The so-called “legacy” room transitioned to flashover, or rapid spread of the fire, in nearly 30 minutes; the modern room transitioned in fewer than four. In all cases, though, even if one is living in a home with older construction, one should get out as quickly as possible. Contrary to popular belief, fire extinguishers are not highly recommended. In fact, people have died while trying to put out fires with fire extinguishers. Unless one is highly trained in using it, trying to figure out how to deploy the extinguisher wastes precious time. A fire can double in size every minute, explains fire investigator Donny Boyd from Montgomery County, Md., and many people have, lo aleinu, perished in fires while trying to put them out by themselves. Struggling with a fire extinguisher often results in a delay in calling 911. Your priority should be to get out of the house as fast as possible. Mrs. Esther Horowitz’s house fire was electrical in nature, starting due to some old wiring beneath the floorboards. Before leaving her home that Shemini Atzeres evening, she had begun feeling extremely hot in her apartment. Without realizing that the heat was coming from worn wiring, she and her family decided to leave for shul a bit earlier than originally planned. It was just a short while later that she was alerted to the fact that her house was on fire. Mrs. Horowitz also describes the chessed and hashgachah pratis that she experienced following the blaze. She noticed with amazement how some items in her home were damaged beyond repair and some were not. For example, her “hachnasas orchim” room was smokey but not too waterlogged; the multiple gifts she had received over the years while working as a principal in Pupa girls’ school were not destroyed completely by the fire; and all shelves and drawers where she had stored a segulah against unfortunate occurrences, written by the holy Yismach Moshe, zy”a, were salvageable, even if they were covered in soot and smoke. Neighbors offered sleeping accommodations for the family, and after Yom Tov local stores gave the family clothing, linen and towels free of charge. Once they found their new apartment they were given furniture and beds wholeheartedly. “People are very special — Mi k’amcha Yisrael!” Mrs. Horowitz insists. Nevertheless, the event was very traumatic and now, a few years later, she still gets nervous when she hears the sirens of fire engines or the shrieking of a smoke alarm, or scents the smell of smoke. Mrs. S. of Monsey relates how a controlled fire on her front porch suddenly got out of hand. Within seconds, the fire traveled up the vinyl siding of her home, reached the roof, and within seconds exploded into a massive fire. Baruch Hashem, no one was inside the home. But those standing outside, waiting for the proper authorities to extinguish the fire, watched helplessly as their house burned. “The manner in which the fire caught on and quickly got out of control was beyond derech hateva. These major fires can happen very quickly, and often there was nothing that could have been done to prevent them,” Mrs. S. attests. The family’s troubles did not, unfortunately, die with the fire. They were left with extensive property damage — a home with a gaping roof, smoke and water damage, ruined furniture — and are still dealing with the insurance company, a time-consuming and draining process. At the same time, the Monsey community seized the moment and proved its quality. Several stores offered new clothing and more to the family, and while the S. family was able to stay with grandparents immediately after the fire, friends and neighbors sent cake and chocolate to show their care and concern, which Mrs. S. found very meaningful. “What advice do I have to offer? First of all, make sure you have fire insurance. Keep valuables, such as your kesubah, passport and other papers that are not easily replaceable, in a fireproof box. Fire is an integral part of Chanukah, from the cherished mitzvah of lighting the menorah to the minhag of frying latkes and doughnuts. Yet, the cost of underestimating the dangers of fire can be high. Take time to review and implement fire safety precautions all year long. Before Chanukah, check smoke-detector batteries. Keep menoros at least four feet from curtains, shades, cabinets, decorations or plants. Remove or tie back any curtains, drapes or blinds. Place menoros on a sturdy, non-flammable, level surface, ideally on a metal tray. Place the menorah so that if it falls over, it will not fall onto anything flammable. Use a sturdy menorah that is not made of flammable material such as plastic or wood. Make sure the menorah cannot be knocked over by a door opening, someone passing by, a gust of wind or a falling object. Keep menoros, lighters and matches out of the reach of young children. Clear your lighting surface of paper and oil spills. Before lighting, check that candles or oil cups are secure in their holders. When lighting the menorah, keep long hair and loose clothing away from the flames. Supervise any child who lights a menorah. Make sure he is standing in a place where he will not have to reach over another menorah. Keep towels, paper towels and anything else that is flammable at least three feet from the stove. Be aware of loose sleeves or hanging clothes. Create a child-free safety zone of at least three feet around the stove. In the event of a grease fire, turn off the burner and smother the flames with a metal (not glass) pot lid, salt or baking soda. Do not pour water on the fire, as this will spread it. Take reasonable precautions to prevent burns.